Our polar plunge team, “George’s Gang,” is plunging in honor of our dear friend and coworker, Ellen “George” Tarrant, who passed away in August 2016. At work she was referred to as Ellen, but people that knew her best outside of work knew her as George; one of those childhood nicknames that stuck. While she liked being called George, her favorite name to be called was “grandma.” Ellen was a devoted wife, mother, and grandmother to four grandchildren that she talked about to anyone that would listen. She was very involved in the lives of her family members and was dedicated to her friends and “work family” as well. Ellen devoted her career to advocating for students with special needs. She worked in various districts and schools and was an esteemed member of the IEP team. She particularly enjoyed working and participating in activities at Brownsville School, a school offering services to students with intellectual disabilities. 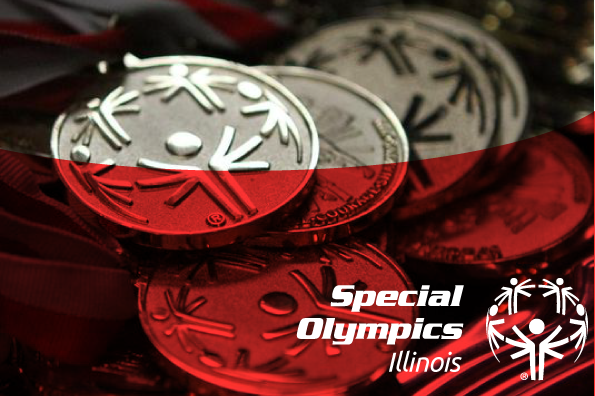 She was a volunteer for Special Olympics and enjoyed attending events and cheering on athletes. George’s Gang consists of a roster made up of Ellen’s friends and coworkers; all with a heart for serving, and working with, families and children. Ellen had a gift for relating to people. She was a nurturer. She understood that school could be a nerve-racking place for some and she worked to ensure that no one felt inferior or intimidated in her presence. Her self-deprecating nature, sense of humor, and infectious laugh made people want to be near her. At work, Ellen was efficient, organized, and somewhat predictable. Outside of work, she was crafty, adventurous, and could be described as impulsive. Ellen would get a kick out of watching her friends plunge into freezing cold water. She would be especially fond of the idea of raising money in support of the amazing athletes participating in Special Olympics. The lives of many have been, and continue to be, touched by Ellen. Our team t-shirts say “Sometimes the things we cannot change end up changing us.” We cannot change this loss, just as we cannot eradicate or change a disability. However, we can recognize when we are changed for the better by the wonderful people who come into our lives. So, we choose to celebrate George’s life. The members of George’s Gang are proud to plunge for acceptance, inclusion, and fun in memory of Ellen “George” Tarrant. We are grateful for the time we were allowed to spend with Ellen and we attempt to honor her memory by encouraging, supporting, and celebrating the abilities of the children and adults participating in Special Olympics.